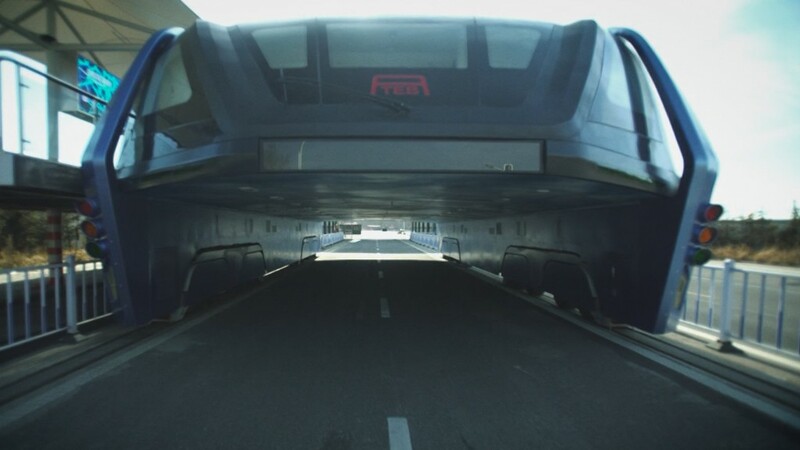 After seizing the world's attention over the summer, China's futuristic elevated bus appears to have reached the end of the line. Video of the road-straddling bus cruising over the top of cars during a test run spread like wildfire on social media back in August. But the quirky vehicle now sits idle at the test site in northern China, where it has become a hulking eyesore. Billed as a potential answer to China's crippling traffic problems, the elevated bus is now the source of bottlenecks in the port city of Qinhuangdao. Cars traveling in both directions have to crowd together on the other side of the road to avoid the test tracks and the 26-foot-wide bus. 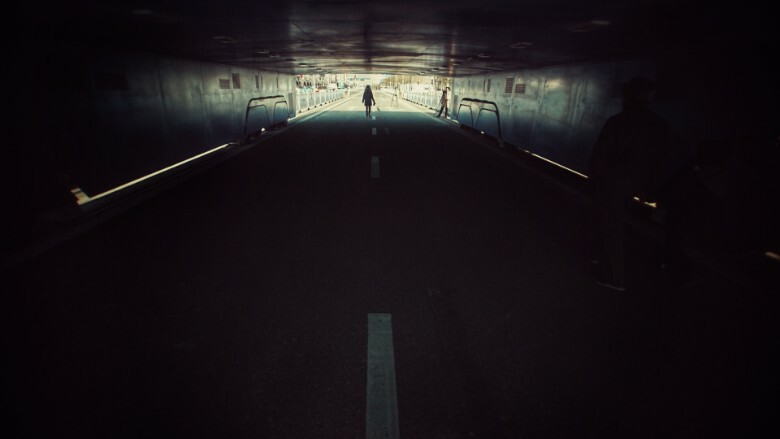 "The road is narrower, of course it affects traffic," said Wang Yimin, a local mechanic who was one of several residents who grumbled about the inconvenience. The cavernous space bellow TEB's elevated compartment. 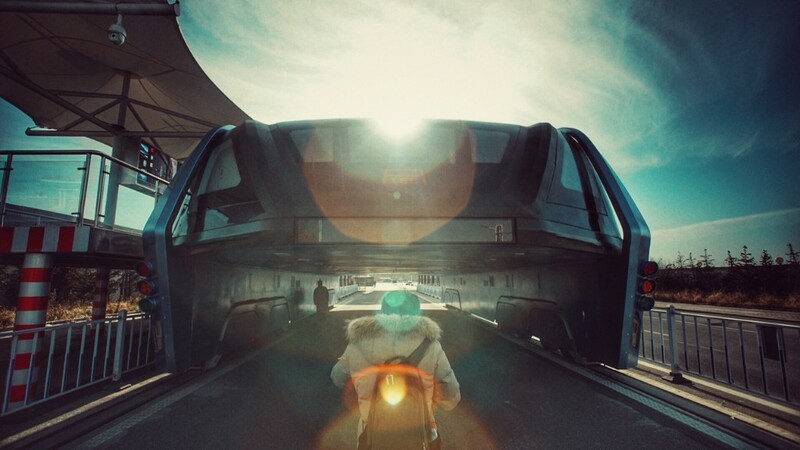 To host the test drive, the city built special tracks for the giant electric-powered vehicle, which is 72 feet long and 16 feet high. The company behind the bus, TEB Technology, was supposed to restore the 330-yard-long test site to its original state by the end of August, according to China's official state news agency Xinhua. "The tracks are still there and we're aware that it causes transportation problems," said a Qinhuangdao government official, who declined to be identified by name because he wasn't authorized to speak publicly. "I don't know much about TEB's future plans or what we will do with the tracks," the official said, adding that residents have been calling to complain. Shortly after the test run in August -- in which people rode in an elevated compartment as the vehicle straddled a two-lane highway -- Chinese state media began questioning the legitimacy of the project. They raised concerns that the whole thing was a publicity stunt funded by a peer-to-peer lending program, a loosely regulated form of investment that has resulted in scams in China. Some local news outlets reported that TEB's backers were in financial trouble after promising investors overly ambitious returns. Repeated phone calls to TEB went unanswered. When CNN visited the company's Beijing office one afternoon last week, most of the lights were off. Inside, a miniature version of the elevated bus was circling around a scale model of the capital city. An employee who was there said he didn't know what the company's future plans were for the elevated bus or any other projects. The vehicle tested in Qinhuangdao was just a prototype, he said, and TEB planned to have a real bus ready by the middle of next year. "But with all this money cutting off now, the company can't do anything," the employee said, declining to be identified by name because he wasn't authorized to speak to the media. His business card identified him as TEB's director of development. 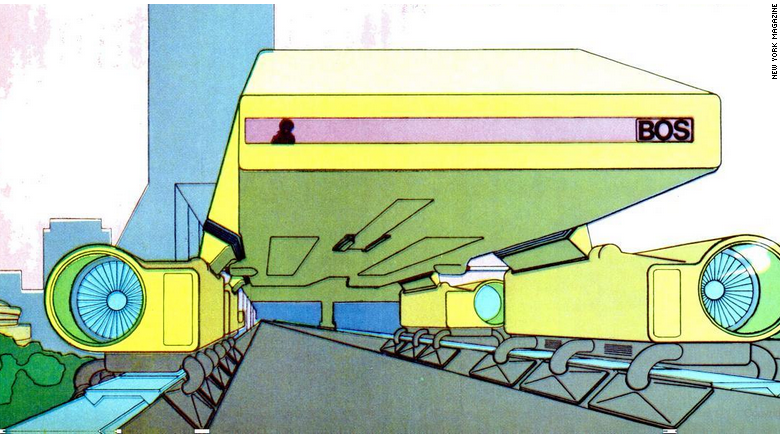 Related: Will China's 'elevated bus' really work? The company appears to be "a good example of the risks that are involved" in peer-to-peer lending, said Zennon Kapron, the founder of Shanghai-based financial market research firm Kapronasia. The TEB bus sits idle, next to a station built just for the road test in August. 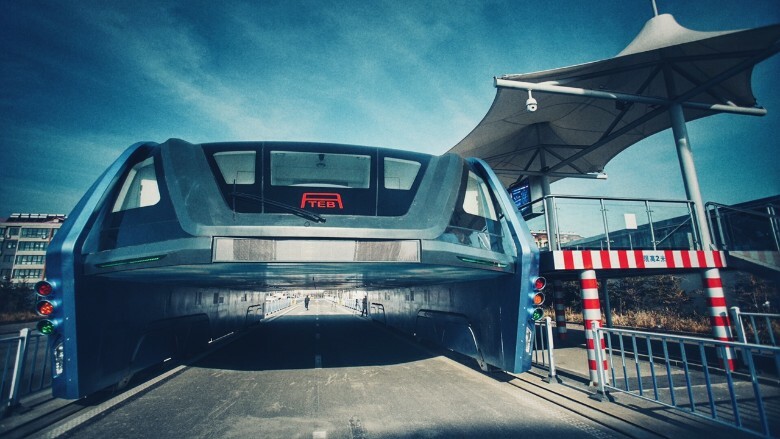 Experts also expressed doubts about the practicality of ever introducing the bus into Chinese cities. The concept was originally unveiled in China in 2010. But it's not the first time a huge road-straddling vehicle has been suggested. The Landliner concept was featured in New York Magazine in 1969. A pair of architects proposed a similar idea in 1969. The "Landliner" would have glided between Washington and Boston at 200 mph. The concept was featured as the cover story of New York magazine at the time. But while that proposal faded into history, Qinhuangdao residents have to squeeze past the remains of TEB's concept every day. -- Justin Robertson contributed to this report.